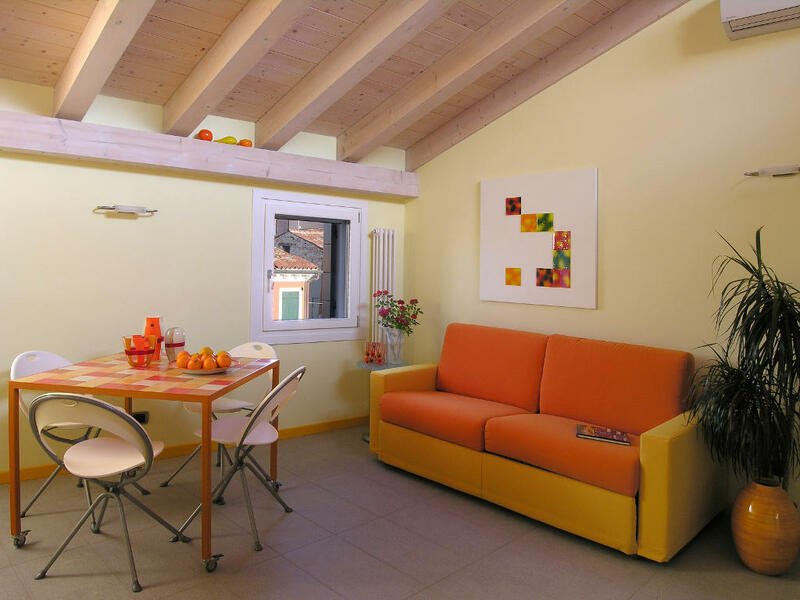 Casa Nova consists of two apartments in Burano overlooking Galuppi Square. 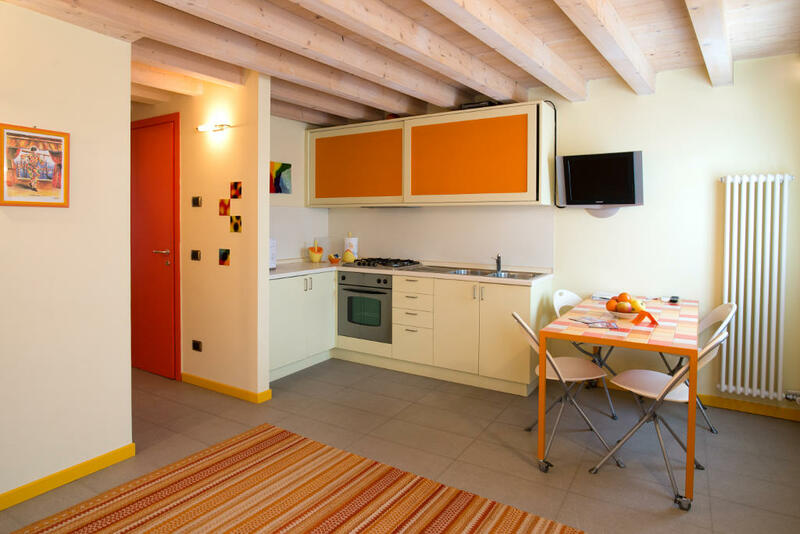 All furnishings blend tonalities of orange on the wood, creating a warm and relaxing environment for a romantic getaway on Burano island. By filling out the form below, your request will be forwarded directly to the property owners or to its manager. IMPORTANT: a minimum stay of 2 nights is required! 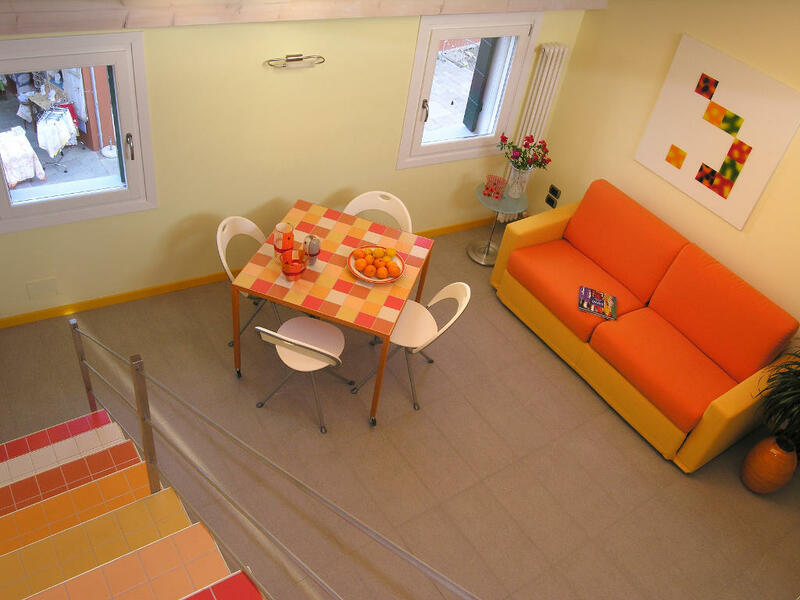 Casa Nova is located in the center of Burano, a Venice's lagoon island, just 7km from Venice Marco Polo Airport, 18km from Jesolo Lido and 43km from Padua. Both units are equipped with air conditioning, flat screen tv with satellite channels, dining table, coffee maker, stovetop, cooking utensils, fridge and cleaning products. All have their own private bathroom with bidet, towels and hairdryer. 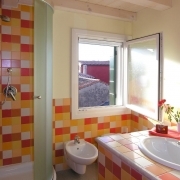 During your stay in Burano, you can request the cleaning of the house, paying a supplement. 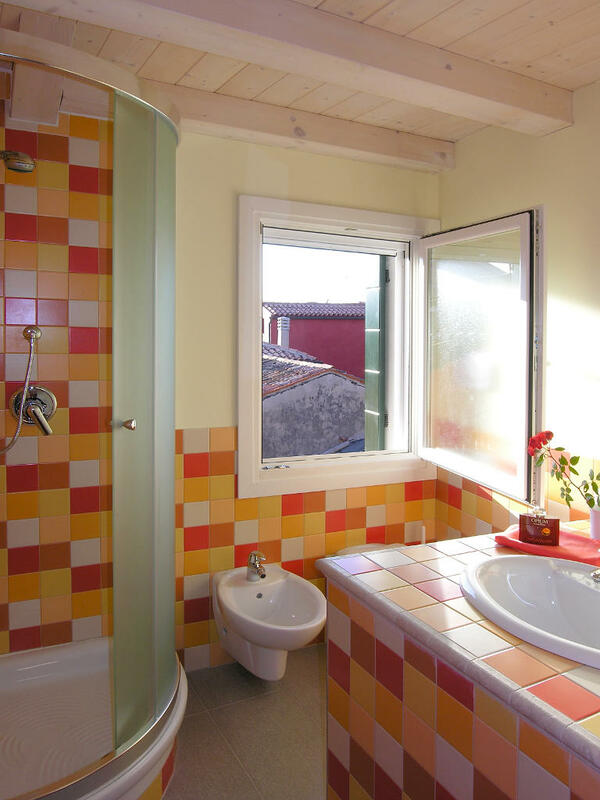 What to do in Burano during your stay? 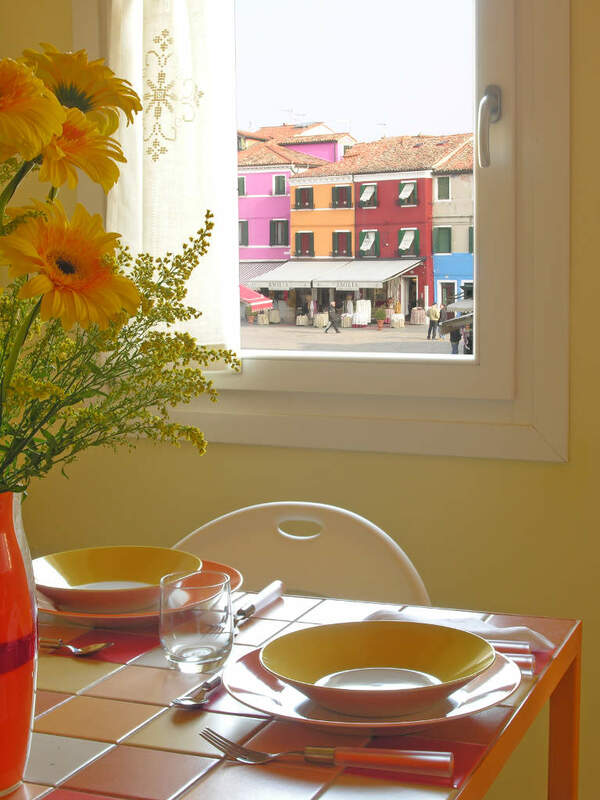 During your stay in Burano at Casa Nova you can enjoy any kind of excursions and tours, such as the classic gondola tour, or an adventurous boat trip, maybe while the women in your group are making a guided shopping. Whether your passion is nature, rather than shopping or food and wine, you can plan your Venice stay looking at the Venice tour guide. 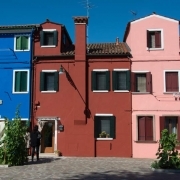 In any case, we suggest you to read our highly appreciated guide entitled "things to do in Burano". 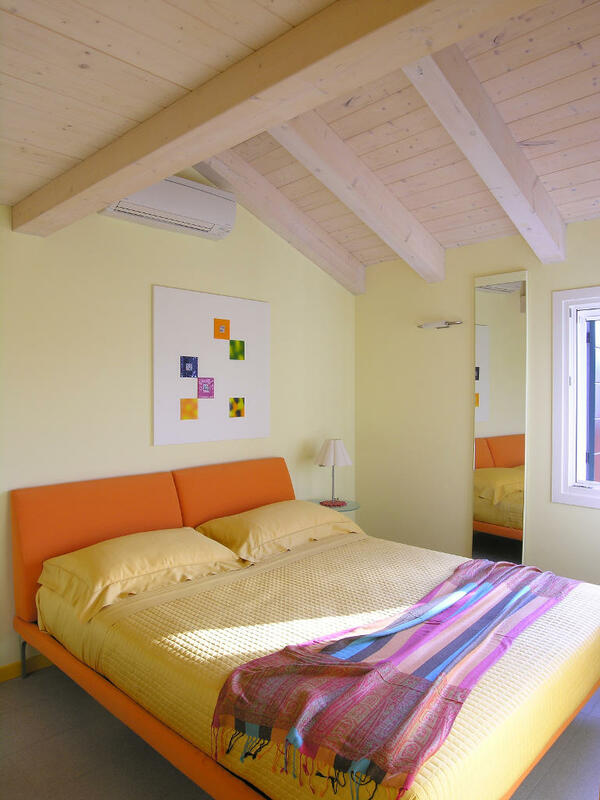 Casa Burano offers design accommodation on Burano Island and it's inspired by the hotel diffuso concept. It's rooms have air-conditioned and free Wi-Fi. 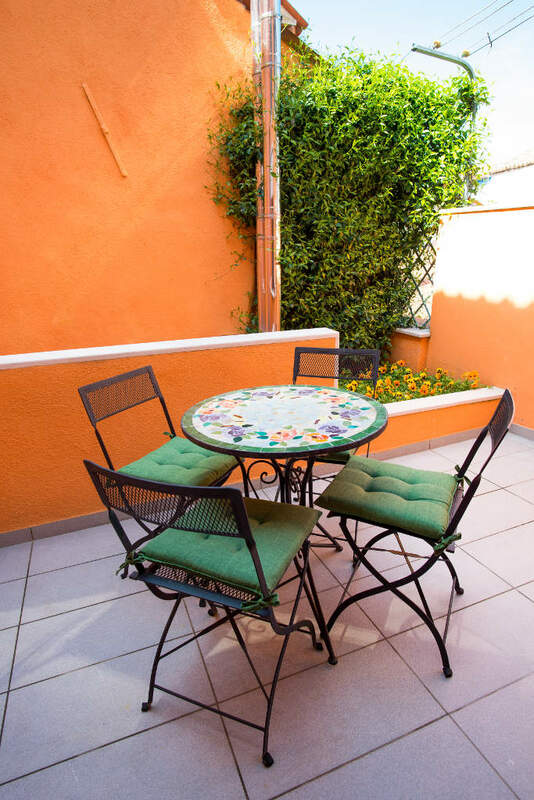 If you are looking for a house for rent in Burano including linen, air conditioning and overlooking a colorful campo with a Venice lagoon view, book Ca'Burano. 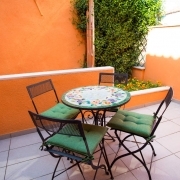 Click on the following link to see the full list of holiday apartments and holiday homes in Burano. How to get to Burano and Casa Nova? Buy your travel card directly on our portal. Venice Vaporetto, taxi Casa Nova, transfers and city sightseeing. For further information about reaching Burano, Murano, Mazzorbo e Torcello, from the Marco Polo Airport too, read our guide "how to get to Burano", which is valid for all these islands.